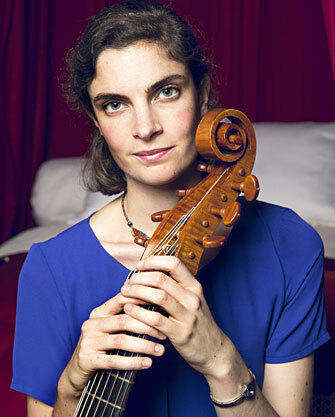 Kate studied viol and baroque cello with Jonathan Manson at the Royal Academy of Music, graduating with distinction, after gaining first class honours in Classics from Jesus College, Cambridge. She has played with English Touring Opera, Solomon’s Knot and the Feinstein Ensemble, and was selected for the Handel House Talent Scheme 2016-17. Kate also performs with Chelys Viol Consort, and is a founder member of both Ceruleo, who were Ensemble Fellows at the Guildhall School of Music and Drama for 2016-17, and Ensemble Molière, who were ‘Future Baroque’ artists at the 2017 London Festival of Baroque Music. A keen chamber musician, Kate was twice awarded the RAM Nancy Nuttall Ensemble Prize, and was a recipient of the D Day Fund Award and Sir Anthony Lewis Memorial Prize for Consort Music. She has also taken part in masterclasses at the Greenwich International Early Music Festival and RCM Festival of Viols, performing to Christophe Coin, Alison Crum, Vittorio Ghielmi and Paolo Pandolfo. More recently, projects have included concerts at the Cadogan Hall, Southbank Centre and King’s Place, and live broadcasts on BBC Radio 3’s ‘In Tune’ with Ceruleo and Ensemble Molière.